The running bowline is a noose. It creates an adjustable loop that can be drawn up tight. The nice sliding knot can be tied around trees or posts. Based on the classic bowline knot, this one is very secure. It works well in rigging situations. It serves the purpose of retrieving objects by throwing a large loop of the knot around them and cinching it down by pulling the standing line. Some people precede it with a half hitch that can share the load. However, we feel that the running bowline is strong by itself. 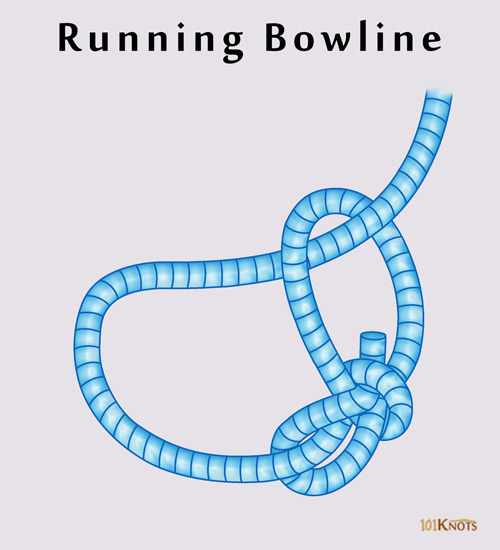 Double running bowline knot – Instead of the bowline, this knot is based on the double bowline knot. Doesn’t close up on the standing end and bind it. If the tree branch or support is too high, it might be a challenge to throw the loop around it. Even if you manage to do it, retrieving the line might be a problem. 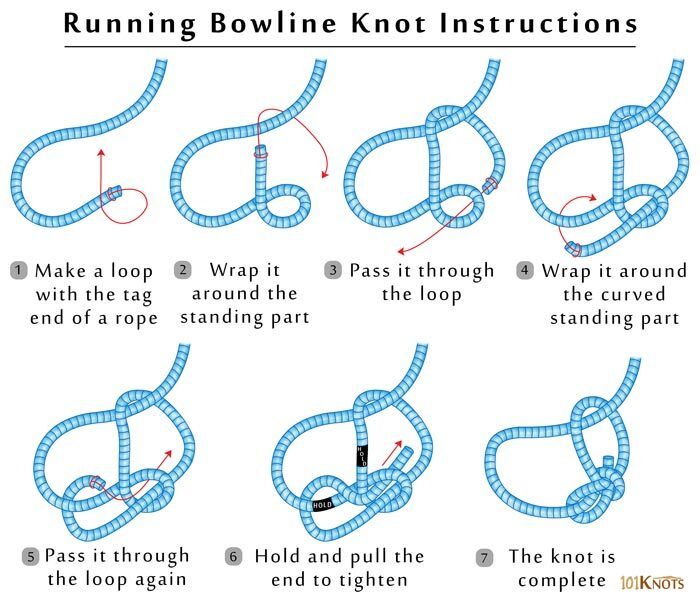 Bowline knot – It doesn’t form a sliding loop. Clove hitch – It is weaker and harder to untie. By arborists for tree climbing. It allows lowering or raising heavy objects. The video demonstrates another common method of tying the knot.